The Elks Lodge of Palo Alto is a third year supporter of MVLL and sponsors the Minors AAA Division Twins. 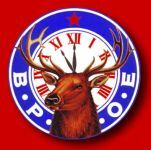 Our mission is to instill the principles of Charity, Justice, Brotherly Love and Fidelity; to recognize a belief in God; to promote the welfare and enhance the happiness of its Members; to enhance the spirit of American patriotism; to cultivate good fellowship; to perpetuate itself as a fraternal organization, the Benevolent and Protective Order of Elks of the United States of America will serve the people and communities through benevolent programs, demonstrating that Elks Care and Elks Share. Nationally, we enjoy a membership of nearly one million members and a 142-year history. Our network of 2,000 lodges located throughout America supports a generous charitable foundation that each year gives millions in scholarships, acts as an inspiration to youth, provides care & entertainment to veterans and more. Elks are people from all walks of life who believe in the golden rule and contributing to the lives and well-being of those around them. We guide ourselves through life with strong morals and a great love of our fellow man, always adhering to the founding principals of our order: Charity, Justice, Brotherly Love and Fidelity. Over the course of our history, the Elks have contributed nearly $4 billion in donations for Americas youth, veterans, disadvantaged and handicapped, and to individuals and groups in support of patriotic and civic programs. Each year the Elks give more than $200 million in contributions and is one of the largest private providers of college scholarships in the United States. Specializing in Uniforms and Team Equipment. Custom Uniforms. Screen Print. Embroidery. For more than 25 years, Goetz Bros. has been MVLL's provider of baseball equipment and uniforms. Goetz Bros. is a Gold Sponsor of the Majors Division Twins. GoGo Squeez is a second year in-kind sponsor, generously providing products to share with Little League families at special events. At GoGo squeeZ, we want to make it easier for families to be healthier and happier. Were proud to be the leading squeezable, re-sealable, 100% fruit in a pouch. GoGo squeeZs products are crafted with high-quality natural ingredients to provide wholesome goodness for sipping, squeezing and enjoying, wherever life takes you. Celebrating over 35 years in business, Helming's prides itself in providing affordable and dependable auto repair and service to Mountain View and surrounding communities. "Our commitment to customer service sets us apart from other car repair shops. We are locally owned and operated, and as a family-owned business, we understand how important it is to have a safe vehicle to take you to work, school, and practice. We treat your car as if it were our own. We want you to feel confident in choosing Helming's for your automotive repairs, so we guarantee our work for 12 months/12,000 miles, and your mechanic will take the time to explain the auto repair services that your car needs." 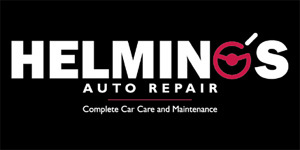 Helmings Auto Repair has supported MVLL for over 12 years ans is a Gold Sponsor of the Majors Division A's. "Quality you can taste. Since 1948." In-N-Out Burger. We dont freeze. We dont pre-package. We dont over-process. We just make things the old-fashioned way. With two In-N-Out locations in Mountain View, the restaurants are conveniently located near our Majors and Minors AAA fields at McKelvey and Monta Loma Parks: 53 W. El Camino Real (on El Camino Real, near Grant Rd) and at 1159 N. Rengstorff (near Hwy 101, across the street from Costco). 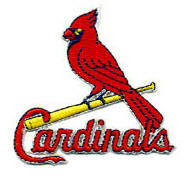 Integrate Performance Fitness has supported MVLL since 2014 and is a Gold Sponsor of the Majors Division Cardinals. Integrate Performance Fitness studio is a cutting-edge training facility located just off of San Antonio Road in Mountain View. Among other industry honors, owner and personal trainer Al Painter was voted "Best Bay Area Personal Trainer" in CitySports Magazine. At Integrate, there is a focus on creating a fitness community by building relationships among members and staff. There are group classes, clinics, specialized training and social events on a regular basis. Integrate also provides a variety of equipment, such as stability balls, balance tools, medicine balls, free weights, bands and tubing. 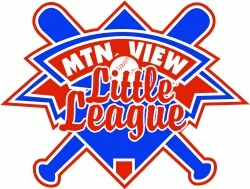 Mountain View Kiwanis has supported MVLL since 2011 and sponsors the Minors AA Division Red Sox. Our club has faithfully served the Mountain View Area Community since 1926. The Mountain View Kiwanis Club welcomes you as a participating citizen to our meetings. We seek women and men who desire to become personally involved as a group working together to achieve what individuals cannot do alone in service to our community. Whatever their individual goals may be, Kiwanians are motivated by a common desire to service and to achieve an appreciation of good fellowships. Larry's AutoWorks is a multi-year supporter of MVLL baseball and sponsors the Major Giants. At Larry's AutoWorks, you can count on friendly, professional people to help you make intelligent decisions about your vehicle. This can save you time and money and reduce the stress of auto service. We do this through a full service shop staffed by specialists in all phases of auto and light truck service and repair. We also provide Early Bird and After Hours Lockout services for those customers unable to visit us during our normal business hours. Please complete our visitor profile if you would like us to contact you about servicing your car. Lucy Modderman and Ron Vierra Farmers Insurance is a multi-year banner sponsor. For all your insurance needs, call us for a competitive quote. In order to provide a thorough, effective cleaning, it's important to focus on the details, and we use detail-oriented cleaning techniques in order to achieve spectacular results. When you trust us with your housekeeping needs, you'll enjoy our many benefits. Miramonte Veteniary Hospital is a 2nd year sponsor of the Minor Cardinals. The doctors and staff at Miramonte Veterinary Hospital understand the bond that exists between our patients and clients. Our services reflect our belief, the same competence and care that we expect for our own animal companions, will be provided to our patients. Modderman Porsche is a multi-year supporter of MVLL baseball and sponsors the Minor Division Pirates. Like Porsche, we strive to provide our client's with the highest levels of integrity and satisfaction. We invite you to call or visit for an assessment of your Porsche. We understand the passion that surrounds the marquee and the long-term relationships Porsches create with their owners. There is no reason this same attachment shouldn't be forged with the same people who service your Porsche in order to maintain its safety, performance, and value long term. The first Mountain Mike's Pizza restaurant was established in 1978 in Palo Alto, California. What started as a single pizza restaurant with a casual, family-oriented atmosphere, Mountain Mikes Pizza has grown into a leading pizza brand with more than 145 restaurants in California, Oregon, Nevada and Utah. Our restaurants are designed to accommodate those seeking a family-oriented casual dining environment along with delivery and carryout. Since beginning, the idea has been simple - provide high quality and custom made food using only the freshest and finest ingredients available. With three decades of experience, Mountain Mikes Pizza is holding fast to those same core values. Mountain Mikes does not compromise on quality or value and still makes the best pizza in the West! Ask for special discount offers for MVLL Families. Mountain View Door Closer Key and Lock Service, Inc.
Mountain View Door Closer Key and Lock Service, Inc. has supported MVLL baseball for over 30 years and sponsors the Minors AAA Division Cardinals. Also known as "Mountain View Lock", the key and lock business has been in the same Mountain View building since 1950. The business is divided into commercial, industrial, residential and institutional. That includes garage doors, safes and vaults and locksmithing services. The Mountain View Firefighters Local 1965 has supported MVLL for over 25 years and sponsors the Minors AAA Division Giants. The Mountain View Fire Department was started on April 1, 1874, when fifty of the town's civic-minded men sat around a pot-bellied stove and a cracker barrel in Rogers & Rogers Department Store and formed the first organized fire brigade for Mountain View. They called it "Mountain View Station Hook & Ladder Co. No. 1." In the spring of 1928, the citizens living on the outskirts of Mountain View wanted fire protection also. They had an election to create a new fire district. On July 11, 1928 the city council passed a resolution to create the Fremont Fire District. A new headquarters station was completed in 1953 at Villa and Franklin Streets. This station replaced the station Firehouse at Waterworks which was dedicated in 1924. Our newest Headquarters Station on Shoreline Blvd. dedicated in 1995 has the 1953 fire bell mounted out front on the sign. The volunteer firefighters in Mountain View were disbanded in 1964. Today, Mountain View has a fully paid professional fire department with over 86 personnel. Peninsula Storage Center is a multi-year supporter of MVLL and sponsors the Minor AA Division A's. If you're looking for a great deal on self storage, helpful and friendly staff, plus a modern and first class facility in Mountain View or Palo Alto, CA, then you've come to the right place. Whether you're looking to store just a few items, consolidate your business paperwork or put most of your belongings in a safe and secure place for a few weeks, months or years . . . we have a solution for you! Also featuring free and convenient e-waste recycling. Shooting Stars Productions is an 11 year supporter of MVLL baseball. Our Purpose is to create the highest quality photographs and offer the most attentive customer service the youth sports industry has to offer. Shooting Stars Production's photographers undergo rigorous and constant training in order to maintain work that is worthy of our reputation. We photograph over 110,000 young athletes in Northern California every year. All Shooting Stars images have a 100% money back guarantee. We have a staff of over 60 photographers and an office staff available 9-5 every business day whose primary goal is to serve our customers and ensure complete satisfaction with their pictures and photo day experience. Our Priority, completely, satisfied customers with pictures they can cherish for many years to come. (more details)for yourself. At Sports Authority, sporting goods are what we dobut thats not all we do. Your Sunnyvale store is staffed with associates who are customer-service oriented and are experts in their designated areas, giving every customer an exceptional shopping experience. The Counter is a second year banner sponsor. We're on a mission to challenge the way people think about burgers. That's why we started this place. We're about creative construction. Making things delicious. We think life should be about experiences. Trying stuff. Learning. Being inventive. So we've searched for ingredients, chosen quality meats, created sauces, toasted buns, melted cheeses and crafted shakes that shout flavor. Show us what you've got. Create something special. We're with you. Vital Spirit Wellness provides Whole Health Nutrition, Fitness and Lifestyle Coaching to clients who need a little extra help reaching their personal health goals. Our clients are typically health-aware, and are seeking assistance in meeting challenging health goals, such as weight loss, pushing through a fitness plateau, or changing lifestyle habits that are affecting their long-term wellness. Vital Spirit Wellness is a first year supporter of MVLL and sponsors the Minors AAA Division A's. Wemorph is a multi-year sponsor of MVLL and also provides in-kind printing support and services. Wemorph provides professional printing and graphic collateral services. Our experienced staff is here to assist you with all of your large format poster, mounting, lamination, banner, trade show displays, printing, digital imaging, and graphic needs. Our "31 Flavors" ice cream shop provides all of your ice cream needs, from cones and sundaes to custom ice cream cakes and catering for parties and corporate events. We have the best selection of your favorite ice cream flavors such as chocolate, oreo cookie, vanilla, strawberry, and mint chip plus Baskin Robbins special flavors like gold medal ribbon, jamocha almond fudge, and many more. Enjoy our delicious premium ice cream sundaes, Soft Serve sundaes, classic ice cream sundaes or our tasty waffle bowl ice cream sundaes-served up in a freshly baked waffle bowl. Or, let your imagination run wild and build your own! Every Tuesday night is Dollar Scoop Night. Come in between 6pm and 10pm for $1 ice cream cones. The Mountain View Education Assocation is a banner sponsor. Almaden Press is a multi-year sponsor and sponsors the Majors Red Sox. Almaden Press is a complete front-to-end print services company located in Santa Clara, California and has been helping Bay Area brands create stellar printed marketing collateral since 2001. Our vision is to produce outstanding work, and use our extensive print experience and state-of-the-art technology to make it happen. Our goal is to help clients take their projects from their vision to a spectacular finished product  on time, every time  with no hassles. Everyone at Almaden Press strives to make your experience a valued one. Our attention to detail, competitive pricing, and consultative customer service approach help us consistently produce outstanding work and develop lasting relationships with our clients. From Docutech and HP Digital printing to high-end, high volume quality litho printing, fulfillment to mailing to final delivery, we will help you become a printing superstar! as well as created a new set of challenges. While the market for applications is larger than ever before, developing and supporting multiple platforms can be complicated and expensive. Enter Appcelerator, a new platform and services company that is enabling businesses to employ Web developers to build intuitive, content-rich native applications for multiple devices using a common cross-platform code base. Founded in Mountain View in 1976, TOBAR Industries is a contract manufacturer specializing in precision sheet metal fabrication, machining and assembly providing custom products to companies throughout the Bay Area. From prototype to production, we offer high quality, cost effective, on-time manufacturing solutions. Good Eats Since 1983. Armadillo Willy's serves the tenderest, tastiest BBQ this side of Texas. From award-winning ribs, to our fabulous beef brisket, barbequed chicken and turkey. All our meats are slow cooked up to 18 hours -- using only the heat and smoke of a real oak and hickory wood fire. Armadillo Willy's contributes to and sponsors fundraising activities for MVLL. Play It Again Sports is a 6 year supporter of MVLL baseball, is a banner sponsor, and offers discounts on purchases to the coaches, players, and their families. Buy: We buy your gently used sporting goods. We will pay you on the spot for your equipment based on the condition of the product, the type and the quality. Sell: We sell gently used and new equipment. We offer competitive prices on all of our sporting goods - whether used or new and offer a good variety of brands and products. Trade: Bring in your used sporting gear and trade up to a new size or a different brand. You know how expensive sports equipment can be for growing kids so come to Play It Again Sports where you can Trade in and Trade Up. Consign: Not interested in trading in or selling your sports equipment to us, bring in your gear, we'll price it and we'll sell it for you. 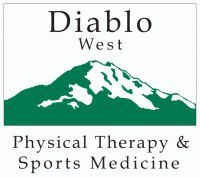 Our goal at Diablo Physical Therapy and Sports Medicine is to offer the highest level of personalized care to our patients. We know our patients come to us with a variety of symptoms, limitations, and aspirations; what works for one person may not help another. That is why our therapists work one-on-one with each patient bringing expert clinical knowledge and hands-on techniques to each individual. As physical therapists we are passionate about this mission and have enjoyed getting to know so many great people within our East Bay and Peninsula communities. Let us help you relieve pain, restore function, and create a plan to keep doing what you love! John Morrell Food Group is a first year banner sponsor. Club Store, Military, and Co-manufacturing Outlets. Los Portales Mexican Restaurant is a third year sponsor. An online reviewer wrote, "Simply the Best. We have been coming here for years because of the food & the staff." Tony & Alba's is a 3 year sponsor of MVLL and is a banner sponsor. Tony & Alba's generously donates pizzas for the league to sell at games and special events for fundraising. Tony & Alba's home made dough and sauce are prepared fresh daily. Each pizza is topped with the finest whole-milk mozzarella and the freshest herbs and spices available. The Pizzeria uses fresh hand spun dough. There are many selections on the menu that are low in saturated fat, sodium and cholesterol for those health conscious people. Pizzas that are 8" 12" 14" 16" or 18" can be order to enjoy at the restaurant, taken out, or delivered. ASA features a 17,000 sq-ft indoor & outdoor training facility. "Being There is Why I'm Here"
Kristen Dorset State Farm sponsored the Minor Division Pirates in 2011. Custom Banners, Banner Stands, Custom Posters, Mounting & Lamination, Trade Show Displays & Graphics. Frankie, Johnnie & Luigi Too! has been serving a faithful clientele for over 49 years in Mountain View. "Now You're Talking Italian!" Home Instead Senior Care of Mountain View, Los Altos, Palo Alto, Sunnyvale, Cupertino can come into the home and be the needed caregiver.